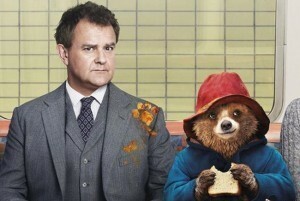 Plot: Arriving in London from deepest, darkest Peru Paddington Bear finds a new home with The Brown Family. Paddington is a wonderfully sweet marmalade sandwich of a film. 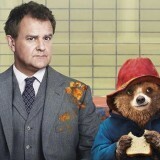 Based on Michael Bond’s beloved children’s character, Paddington didn’t have the easiest cinematic birth. First there was that “conscious uncoupling” from original vocal talent Colin Firth before a first look at the titular bear was the spawn of enough terrifying internet memes to put the chills up anyone who grew up loving the bear from deepest darkest Peru. But given Paddington comes from the same stable as Harry Potter, namely producer David Heyman, it was wrong to think Paddington would ever be anything less than a wonderfully sweet marmalade sandwich of a film. When his home in Peru is destroyed by an earthquake Paddington (voiced by Ben Whishaw) travels to London in the hope of finding the explorer his uncle and aunt befriended many years ago. But the welcome he receives is not what he’d been led to believe. Thankfully he meets the Brown family, headed by safety conscious Henry (Hugh Bonneville) and caring Mary (Sally Hawkins) who give him a home. But Natural History Museum taxidermist Millicent (Nicole Kidman) has her eye on Paddington for her next exhibit. The real magic of Paddington is its quintessentially British nature and sense of humour. There is a loving dedication to Bond’s source material, a sense of stiff-upper-lip charm slowly broken down by this thoroughly polite yet haphazard little critter. From the constant references to the various forms of rain England endures to the terrifying hustle and bustle of London public transport Paddington stumbles his way through the city and firmly into your heart. There is a sense of a Jean-Pierre Jeunet film of vibrancy to Paddington. Director Paul King, a veteran of The Mighty Boosh, gives it a glorious pop-up-book aesthetic and does for the capital what Amelie did for Paris. From the returning gag of demanding pigeons to smartly guiding us around the politics of The Brown family via a doll’s house that we dip in and out of, the film puts a smile on your face very early on and makes it stick. Like the best family films, these days following the Pixar playbook, Paddington achieves that tightrope balancing act of telling a children’s story, complete with themes of adventure and families sticking together, but making it accessible to a more mature audience while stimulating a nostalgic inner child syndrome. Much of this comes down to Whishaw’s wonderfully innocent, matter-of-fact delivery. And through this you begin to understand, and indeed respect, why Firth felt the need to depart the project. Because Whishaw is Paddington; that polite, slightly awkward friend who no matter how much trouble he gets in to you cannot help but adore. Firth would have brought too much world-weariness to what is essentially a youthful character. Whishaw is of course aided by the magicians at FrameStore, the same magicians who made Bullock and Clooney float through space so seamlessly in Gravity, and make Paddington half photo-real and half cartoonish loveable. It’s rare that you’ll ever believe you’re watching a real bear come to life but it’s because of that departed reality that lends him so much anthropomorphic charm. Paddington is a true British icon brought to loving and brilliant life by a film that is clearly as enamoured by this bear as you will be.